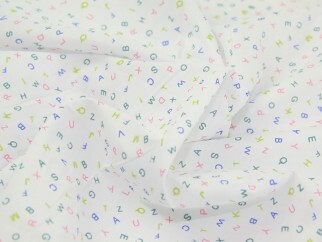 Beautifully printed Polycotton fabric which is made combining strands of Cotton and Polyester. This means this fabric is easy care and comfortable to wear by combining the natural effects of Cotton for softness and moisture absorption with the no iron crispness of polyester. It is a non stretch fabric and easy to sew. This fun printed design makes this fabric suitable for a whole range of sewing, craft and quilting projects! It is widely used for anything from dresses, skirts, tops and shirts to cushions, quilting, patchwork, handbags, accessories, baby and childrens wear and more!